Online restaurant discovery and food delivery company Zomato Media Pvt. Ltd has acquired on-demand logistics and food delivery startup Runnr. “With the combination of Zomato and Runnr, we have everything in the stack of building a delightful food delivery service – end to end – listings, discovery, reviews, ordering, and now, logistics,” Zomato co-founder and CEO Deepinder Goyal said in a blog post. Goyal did not disclose financial terms or any other details of the acquisition. Runnr co-founder and CEO Mohit Kumar and the rest of the founding team will continue to run the business. Goyal also said that Runner will continue to function as an independent logistics firm and cater to companies other than Zomato as well, including pharmaceutical, grocery and e-commerce clients. “This will ensure that the delivery fleet capacity that we build operates on a positive unit economics level while serving the mega-peaks in the food delivery business,” he said. According to Goyal, Runnr has a team of 1,500 that fulfills 300,000 orders a month. Runnr, operated by Carthero Technologies Pvt. Ltd, was formed after on-demand logistics startup Roadrunnr acquired troubled food-ordering startup TinyOwl in a share-swap transaction in June last year, a deal orchestrated by the common investors of the two startups. Runnr then pivoted to food delivery. Following the acquisition of TinyOwl, Runnr secured $7 million from existing investors Blume Ventures and Nexus Venture Partners in August last year. Another existing investor, Sequoia Capital, did not take part in this round. Founded in 2015 by former Flipkart employees Mohit Kumar and Arpit Dave, Roadrunnr started off as a provider of hyperlocal logistics services to merchants, restaurants and e-commerce companies, enabling them to deliver orders by connecting with a local delivery fleet. In July 2015, it raised $11 million in Series A funding from Sequoia Capital, Nexus Venture Partners, Blume Ventures and others. However, in April this year, the company trimmed its business-to-consumer (B2C) food delivery operations in a number of locations across Bangalore and Mumbai to focus more on its business-to-business (B2B) services. Following the scale-back, its food delivery services were reduced to a total of 40 localities in these two cities, Kumar had told VCCircle. For Zomato, the acquisition will help it better compete with rivals such as Naspers-backed Swiggy and Foodpanda. 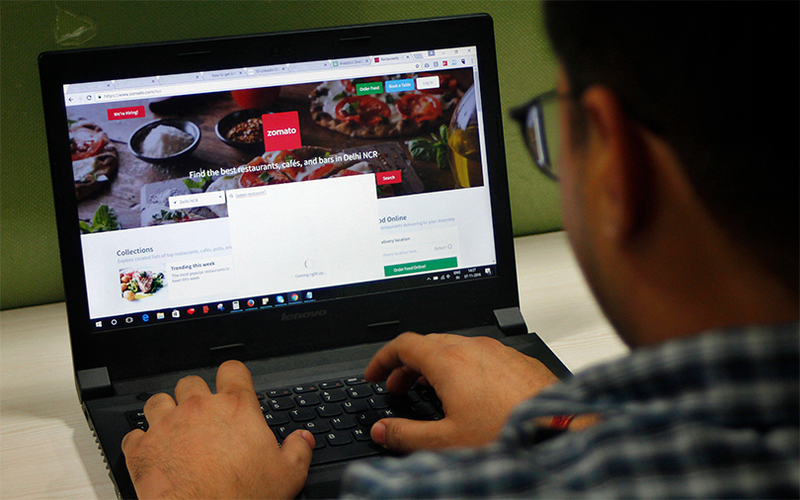 Zomato, part-owned by Info Edge (India) Ltd, has managed to reduce its cash burn substantially and grew its revenue rapidly in the year through March. It posted revenue of Rs 332.3 crore for 2016-17, up 80.6% from Rs 183.9 crore the previous year. Its losses narrowed to Rs 389 crore from Rs 590.1 crore, according to the annual report of Info Edge. The company’s revenue from the food ordering business jumped eight-fold to almost $9 million in the last financial year. Zomato’s last funding round, in September 2015, saw the company raise $60 million from Singapore government’s investment company Temasek and existing investor Vy Capital.